Time is extremely valuable when it comes to running a business, and if you do so, you must know it. Thankfully, there are so many tools available out there, which automate different tasks, and this way making work will be easier and faster, and it will save so precious time and costs. In this article, you are going to find the tools with the help of which you can automate your line of business and make the work done much more effectively. Sending emails should not be underestimated these days even if we receive a lot of notifications and messages via our social networks. It is very important to keep reminding people about yourself and your activities. This can be done by building a successful emailing campaign. Instead of spending too much time on this, you can automate this process. Having got the list of subscribers provides you with the possibility to communicate with them via emails. And here comes the thing called autoresponders. Autoresponders are emails, which are sent automatically to people added to a particular list. There are different programs, which carry out this function and other useful ones. Such email marketing systems as Mailchimp, Mad Mimi, and FreshMail are pretty affordable having got their free plans, which cover a particular amount of subscribers or email. With these tools, you can schedule your emails and send them to the whole list of your subscribers. Mailchimp is one of the most popular in this category. It is easy to use, suitable for both small and large businesses, and supports a huge amount of subscribers. With this tool, you can create beautiful and noticeable emails, manage your list of subscribers, observe the efficiency of your campaign, etc. Besides, with Mailchimp RSS Campaigns your newly published blog post is automatically sent to your subscribers. Moreover, Mailchimp integrates with various web services and applications, such as Twitter, Facebook, Shopify, Magento, Drupal, WordPress, etc. and that can come in handy. Freshmail is an email marketing tool that is used for building, sending, and tracking email campaigns. Thanks to its extensive ready-to-use email templates library and advanced options to customize your messages, you can create impressive and good-looking newsletters. In addition, it all may be done in an intuitive way using drag & drop method. Among the Freshmail features, there are autoresponders, behavior driven rules, bounce and click-through tracking, drip campaigns, mailing list management, multi-various testing, and many others. Mad Mimi is one more email marketing service to create, send, and track email newsletters. It has an easy-to-use and colorful interface. Meanwhile, you will not find here a wide range of ready-to-use templates. Nevertheless, with this tool, you can create and send your newsletters quickly without much effort. What is more, on its Addons page, you can find that it is also possible to set up drip email campaigns, create webforms, add icons to connect with social networks, use promotion tweeks, activate RSS feature, integrate with Google Analytics, and more. GetResponse is a marketing automation tool, which has successfully established itself on the market. This tool enables creating newsletters, autoresponders, and RSS to Email. It has strong autoresponder tool, which allows you to easily drag-and-drop your emails in your calendar setting desired time and date. Also, within GetResponse, you can build intuitive workflows by arranging ready-to-use blocks: conditions, actions, and filters. Conditions take into account user behavior (cart abandoned, link clicked, etc. ), then you can take actions based on selected conditions (sending emails, scoring, tagging, etc. ), and finally apply filters to increase the impact and sharpen your targeting further (raging, creating dynamic segments, and so on). Furthermore, GetResponse offers the extended A/B testing, Perfect Timing and time Travel scheduling features, single opt-ins, inbox preview, and many other useful features. Emma is about an advanced automation. It connects with Shopify, Salesforce, and OprionMonster in order to make up CRM and sales data, then personalize emails according to subscribers and automate them. You can easily create a drip campaign with this tool by choosing your target audience, the triggers for it, the email you want to send, and saving it as a drip. In addition, Emma has a collection of customizable and mobile-optimized templates, simple list segmentation, inline text editing, branching logic, and other features, which can come in handy for your emailing campaigns. Buffer deals greatly with scheduling posts. All you have to do is add your post to the queue and Buffer will take care of posting it. With the help of this tool, you can also observe the analytics of your social media and figure out what works well and what does not. Hootsuite makes it possible to access all your social media channels at one place. It lets you easily manage your social media profiles, schedule social content, helps to choose the best time to post, stay tuned whether your brand has been mentioned, offers advanced search, and enables identifying positive and negative mentions. IFTTT uses recipes to managing social media. You choose the recipe for particular action and once this action is undertaken, automation happens as well and the recipe you set up before comes off. For instance, when a new blog post is published you automatically receive an email. There are plenty of recipes with their own elements to choose from. It is also possible to create the combination by yourself. Moreover, IFTTT works well with Buffer and Hootsuite, which makes a big step towards improving your social media automation. Zapier may remind you of IFTTT but in this case, there are Zaps instead of recipes. Overall, Zapier helps to automate tasks between web apps. You plan and build the workflows using Zaps – individual automated tasks. Just pick the trigger to launch your Zap and then it automatically carries out a particular action. For example, you can receive an email reminder 2 hours before a Google Calendar event begins. A Zap may be chosen among many available options already or you create your own one. Zapier integrates with more than 750 apps including Gmail, Google Docs, Google Sheets, Facebook Pages, Trello, Asana, Slack, etc. Social Oomph is just like the other social media automation tools created to boost your social media productivity with minimum time and effort expenses. Originally designed for interaction with Twitter, this social media management tool nowadays works with Facebook, Pinterest, LinkedIn, Tumblr, RSS feeds, blogs, and Plurk. Social Oomph’s design is very simple, though it has a powerful features set. It offers post scheduling, tracking keywords, drafts saving and reusing, dld.bz URL shortening, auto follow back features, finding quality people on Twitter features, securing Twitter, Facebook, and LinkedIn access, etc. You can manage up to 5 Twitter accounts for free and unlimited number of Facebook and LinkedIn profiles. Obviously, any business loses its sense when there are no customers. Customers are crucial for company’s functioning and success. That is why companies apply CRM (Customer Relationship Management) in order to manage and analyze interactions with current and potential customers. Consequently, there are a lot of CRM apps, which help to automate such interactions and make this process more efficient. Here are some popular representatives of marketing automation CRM tools. 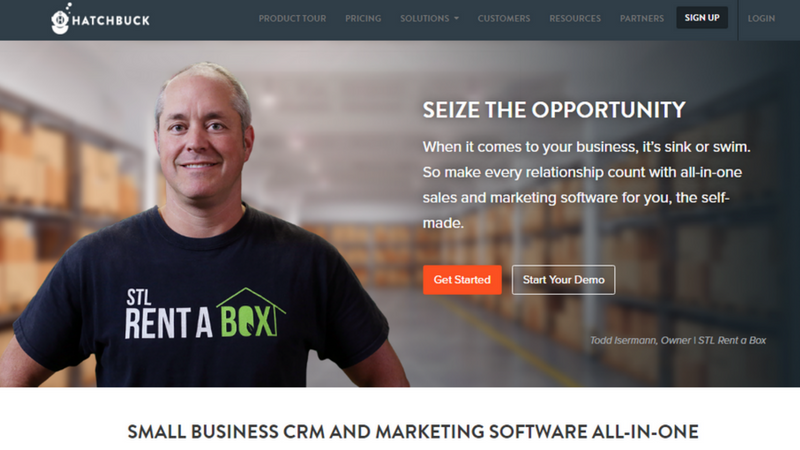 Infusionsoft provides the automation software solutions in CRM, marketing, and e-commerce. With Infusionsoft, you can simplify and automate sales activities, use automated follow-ups for audience engagement, capture leads with web forms, manage your schedule and tasks, segment your customers, use behavioral triggers to get closer to them, send messages to the customers at the right time, etc. Interakt offers a comprehensive analytics about your customers with charts, visualizations, and numbers. It divides target audience into two groups – users and leads. Concerning the users, there is a possibility to see their profiles and all communications, define their checkpoints, measure status, segment them basing on various filters and target them due to it, send automated campaigns, etc. When it’s about the leads, you can also have a rich view on their profiles; there are tools to help convert them into customers, segmentation & targeting, follow-up reminders, direct e-mails, etc. GreenRope is a web-based business management system designed to consolidate and automate sales, marketing, and various business operations in one platform. It is of all-in-one type tools that provide many features. GreenRope covers main CRM functions, marketing and sales automation, email marketing, mobile marketing with automatic CRM integration, project management and event management tools, social media management, including analytics and integration into CRM, auto-responder system connected automatically with CRM, website analytics, etc. Jumplead is made to turn visitors into customers just as a CRM automation tool. Jumplead is helpful in email marketing, landing pages creation, analytics, contact management, and lead management. As there are different types of customers visiting a website, it is very important to identify their needs and knowledge, and target them due to this information. Jumplead makes it possible, enabling examining traffic from the website as well as classifying and scoring the leads. Moreover, it puts accent on location, showing where you site visitors are situated on the world map directly on a dashboard. Also, this tool offers live web chat for chatting with your customers in real-time and social media integration. Hatchbuck combines sales automation, marketing automation and email marketing functions. Being easy-to-use and easy-to-learn it works perfectly with small businesses. Hatchbuck is contact-focused CRM tool, which allows concentrating on the ‘important leads’. With its help you can quickly add contacts, observe their activity in real time and trigger hot lead alerts, catching them from the website, blog or social media channels. What is more, it offers extensive email templates base, drag & drop email builder to easily customize them, and automated drip campaigns. Dropbox. Free storage place here starts from 2 GB and can be expanded to 18 GB. Dropbox files can be viewed and shared even with those who do not have a Dropbox account. Additionally, you can upload those files on your mobile or desktop device. Google Drive. This online storage service offers 15 GB of free space. This space is devoted not only to Google Drive but also to other Google services, such as Google Photos, Gmail, etc. Data on Google Drive can be shared among other users via desktop or mobile by giving access via email or providing a public link for that specific file or folder. It is also possible to put view-only mode while sharing so other users won’t be able to make any changes or download the files. Furthermore, Google Drive offers amazing collaboration providing opportunity to make comments and communicate. OneDrive. OneDrive from Microsoft offers 5 GB of free space, adding more space due to the certain conditions, such as referring your friends. You can access and share your files on PC, Mac, Android, and iOS. The files and folders may be also shared among users without an account, and there are also viewing and editing modes. Tresorit. It is an alternative to the options above, which offers 5 GB of free storage space. You can create ‘tresors’ on your computer, share files with them, and give group access rights for every tresor. It is an encrypted storage service; encryption is automatic and takes place on your computer. Therefore, it is impossible to decrypt files without your password. Since the files are sync to the cloud, you can send them with encrypted links. There is also an activities history available and ability to revoke the link or access if there is a need. CrashPlan. With the help of CrashPlan you can backup your data to multiple destinations in order to secure your files to the full. It offers unlimited storage and is free to use when you have your own space on internal or external hard drive and do not need the company’s cloud service. This provider supports backup of Windows, Linux, and Mac computers to the cloud. 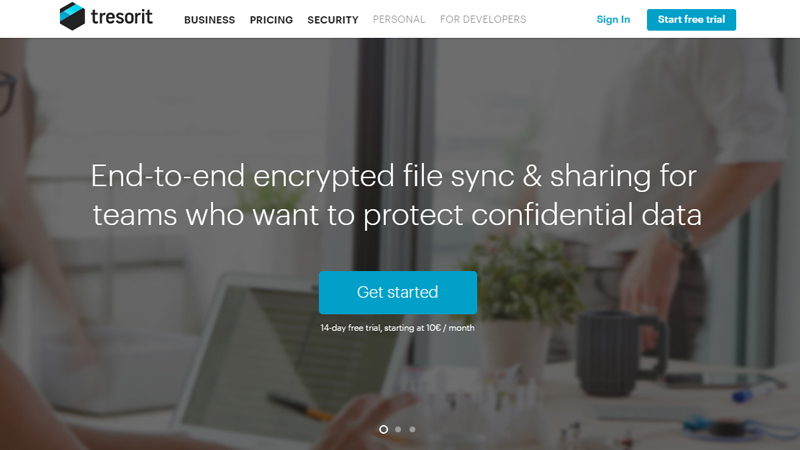 Also, CrashPlan provides a high-level file encryption, restoration from your web browser (if there is backup to CrashPlan Central), and access to your backup files from mobile app. In addition, it has Small Business and Home plans. However, Home plan will be valid only until October, 2018; so, as an alternative, CrashPlan offers selecting its Small Business Plan or migrating to its exclusive partner – cloud backup service Carbonite. Asana. You can create different projects, tasks within these projects, and even subtasks to them. Then, you just add your teammates, assign tasks to them, set the deadlines, and mark when they are reached. It is also possible to communicate within this application, share notes on task descriptions, upload attachments if necessary, prioritize tasks, and receive notifications when there are some updates or tasks are completed. Asana is very easy to get accustomed to and to use in general. Trello is one more easy-to-use online tool to manage a working process. You create Boards for the projects, add cards to them with tasks to complete, organize these cards due to the lists and categories, and invite your teammates, who take part in the particular project. You are allowed to manage your to-do list, attach any documents or files if there is a need for it, put comments, make some changes, track the history of all the movements, and receive notifications on your email address. FreedCamp is another online project management tool. It is suitable both for large and small projects. Projects can be organized in usual to-do lists or kanban boards. There are milestones to put a focus on the most important things, detailed calendar with your plans brought in there, issue tracker, invoicing, project templates, and other features. It also provides effective collaboration, including notifications when there are any updates. Freedcamp can be used on a mobile device via an iOS app. Taiga is an open source project management platform perfect for agile projects. Within this tool, you can create a Scrum project, add users stories and points as an estimate of execution, sprints with wireframes for each and exact tasks, which must be done. You can view your tasks as a scrum-style list or kanban board. Taiga is customizable and has such additional features such as wiki, call, and videoconferencing tools. Wrike is one more project management and collaboration software. This provider enables observing how your project is doing in real-time and tracking its progress. Wrike offers extensive task management and collaboration tools, spreadsheets to see the overall picture of your project, to-do lists for defining next steps, activity stream with the updates, in-built time tracking system, dynamic Gantt charts for better visualization, workload section, file sharing, custom calendars, and many other useful features. To sum up, there are plenty of tools to automate your business and it is worth implementing them. First of all, you save your valuable time, energy, and money this way. Second of all, you can not only cut costs but also gain bigger profits, attract new customers, and run a business in the more efficient way. So pick up the tools, which are the most suitable for you, put them into action, and stay satisfied with the amazing results. Aweomse article! We use GetResponse for marketing automation and email as well as Buffer and IFTTT. Event Apps as a Growing Trend in the App Development How to Make Agile and Outsourcing Work?